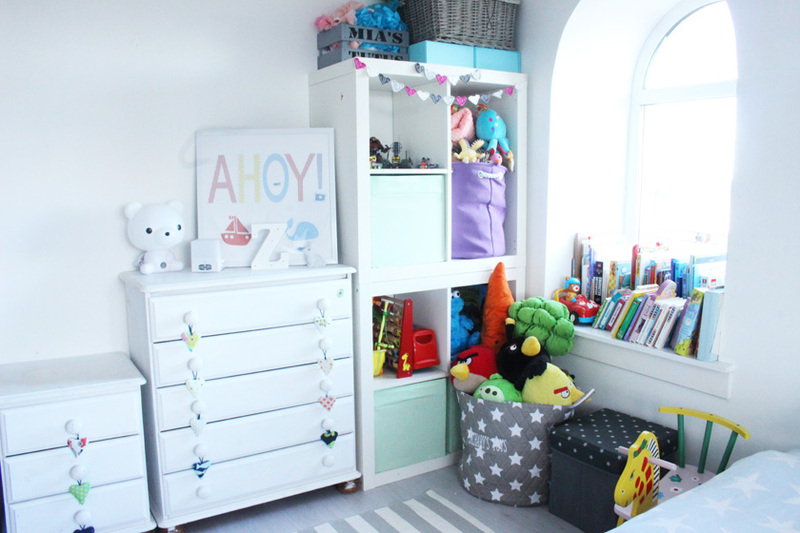 I am sure I promised a kids bedroom tour ages ago, but I never got round to taking the photos. You've seen bits and bobs on my instagram, but I really like having these kinds of blog posts to look back on, so here it is. The photos didn't turn out as good as I would like unfortunately, as the light has been terrible lately. I will try to link everything I can underneath the photos. 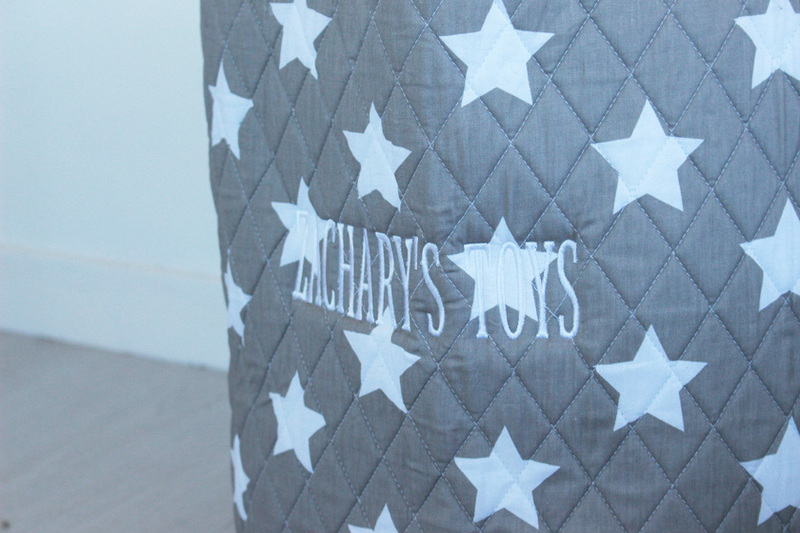 Let's start with Zac's corner, where his bed is. It's a simple Ikea bed with lots of cushions on it. A bit of a pain, as I have to tidy up and rearrange them every morning, but Zac loves them so much and they look so nice! 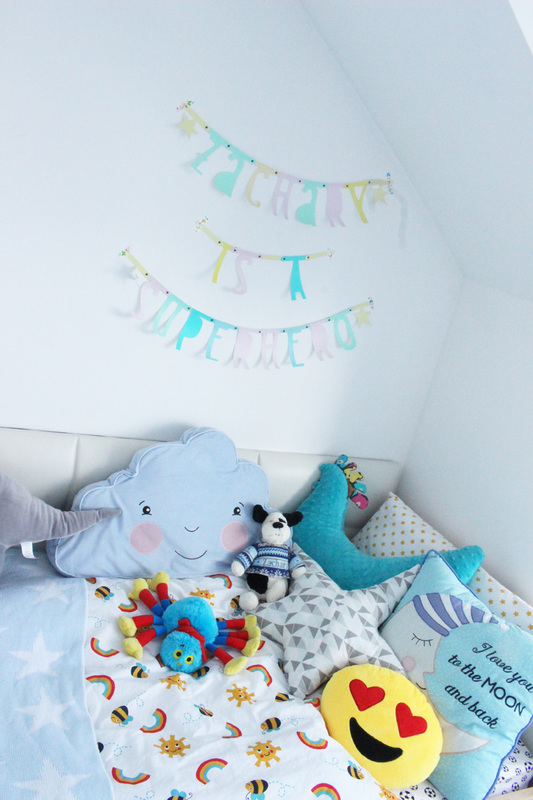 DIY Letter Bunting - This Modern Life, Cloud Cushion - IKEA, Bedding- Frugi, 'Love You To The Moon & Back' Cushion- My 1st Years, Personalised Jellycat Dog In a Jumper- My 1st Years, Turquoise Hen Cushion- La Millou, Emoji Cushion- Poundland, Star Cushion-Handmade, Star Blanket- Elegant Baby. 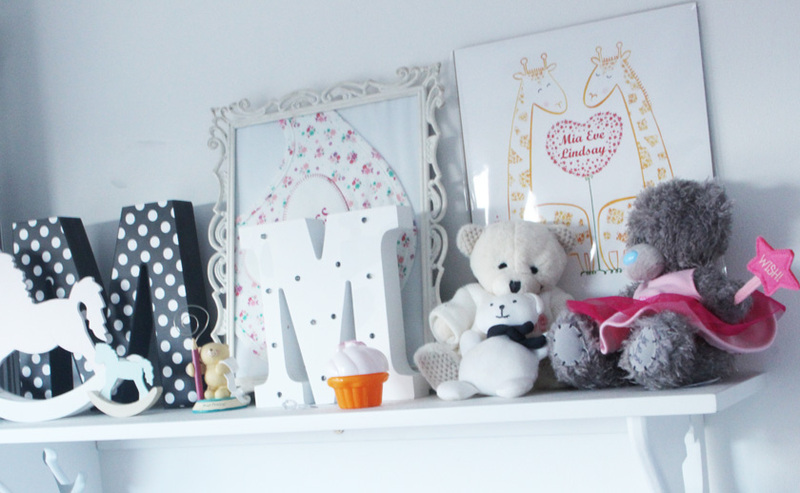 I got shelves from Mothercare for both sides of the room. 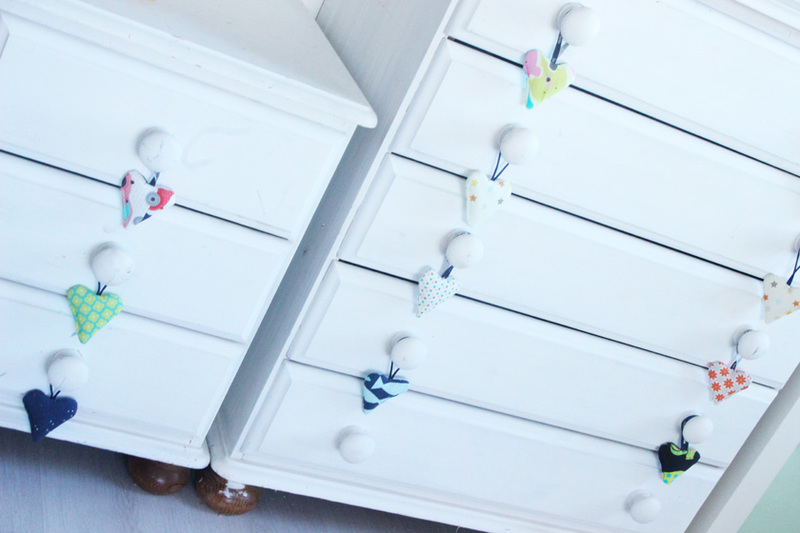 One for Zac, one for Mia, where I put some of their toys, purely to make it look pretty. 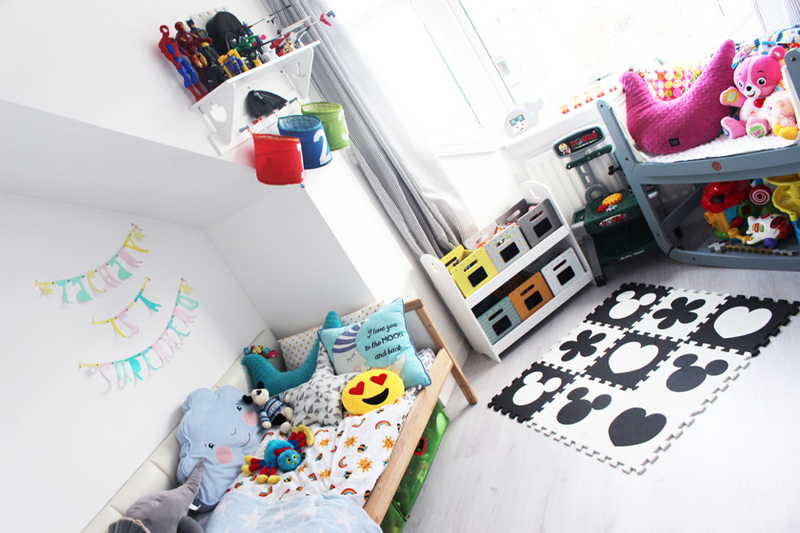 Zac's side is all about Superheroes, Star Wars and Lego and Mia's is much more girly. 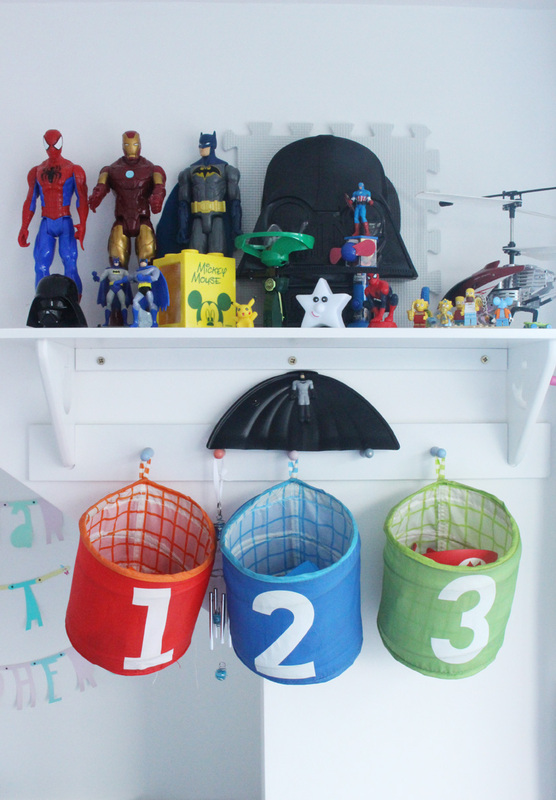 Shelf- Mothercare, Number Baskets- IKEA, Star Light-ebay. My favourite piece from the room is this little unit from Vertbaudet. 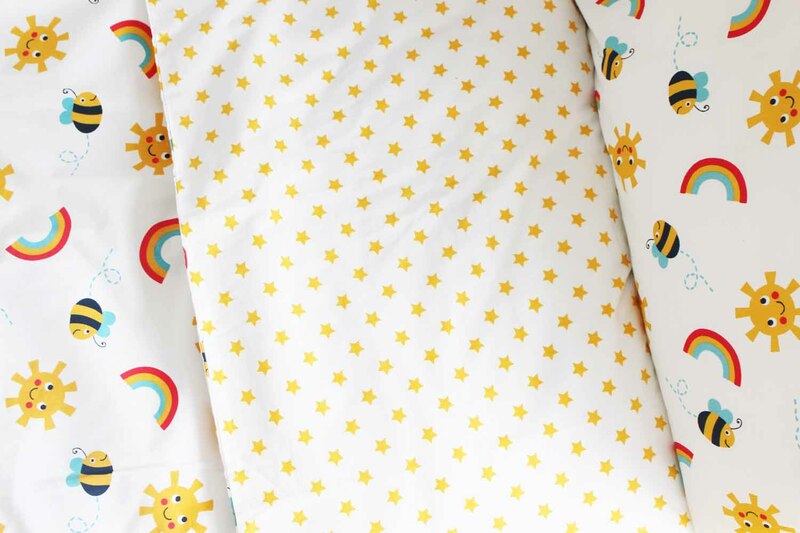 They have such beautiful decor for kids on their website! I am obsessed! I got this during a sale with 30% off. Bargain! 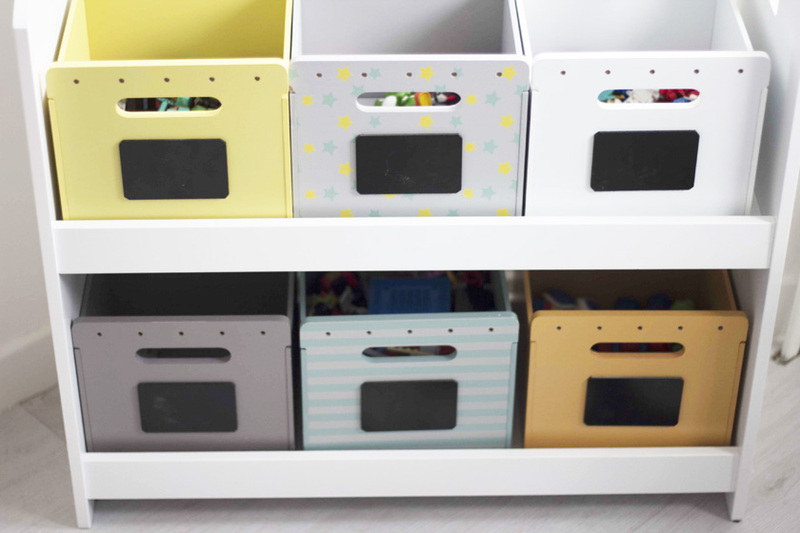 You order the base separately and then the wooden boxes in whatever colours/patterns you like. Beautiful! I like keeping Zac's toys organised. Specific boxes for Minecraft, Mario, Lego, Superheroes etc. 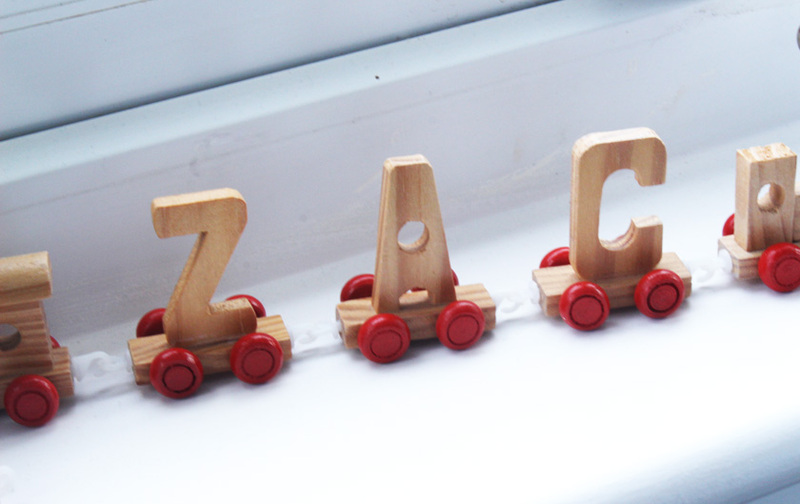 This wooden name train thingy was a gift from Zac's auntie. It adds such a nice touch to the windowsill. 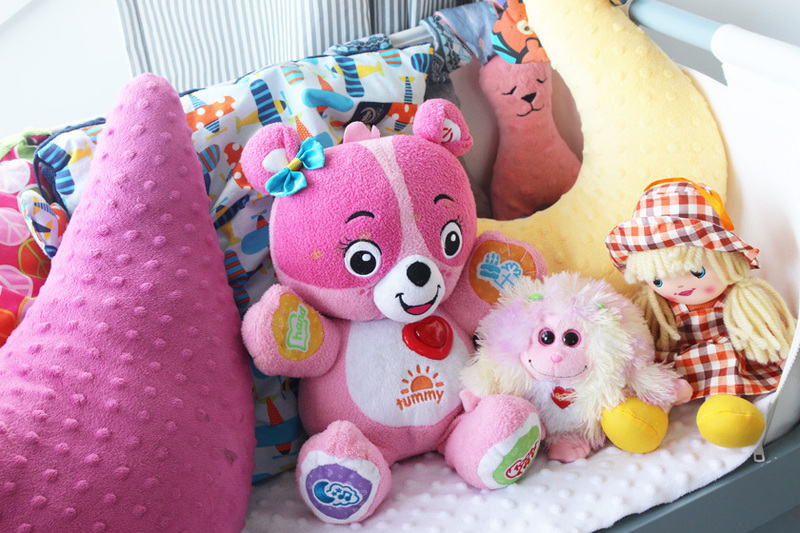 We are still using the Snuzpod, but only to store Mia's cute stuffed toys etc. It's such a nice piece of furniture! I take it off the stand for Mia to play in and read books. 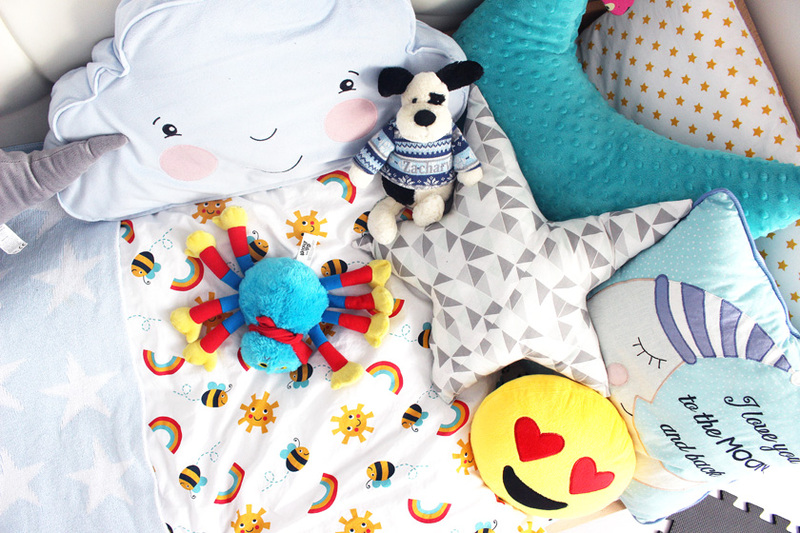 Pink Hen Cushion + Yellow hen Cushion + Plane Cushion + Bunnies - La Millou, Pink bear -Vtech. I get asked about this playmat a lot on my instagram. It took me ages to find it! I ordered it on Amazon when Mia was born, but it took ages to arrive. Here is the link.I also found a few of these on ebay - monochrome flowers, single monochrome pieces with various shapes, plain black & white. My least favourite part of the room, which is temporary, as Mia's cot will be going in this space once she is 2 and ready to move to a separate room. 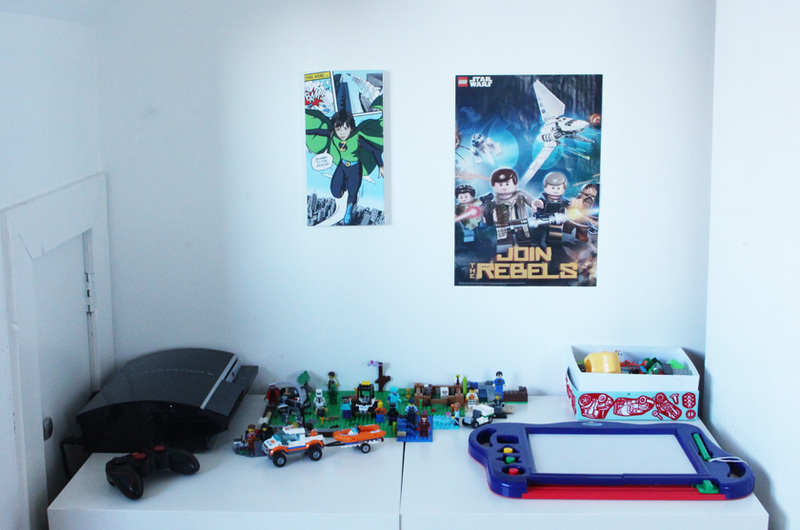 At the moment it's just a Lego and gaming area for Zac. The playstation is connected to a projector on the ceiling. 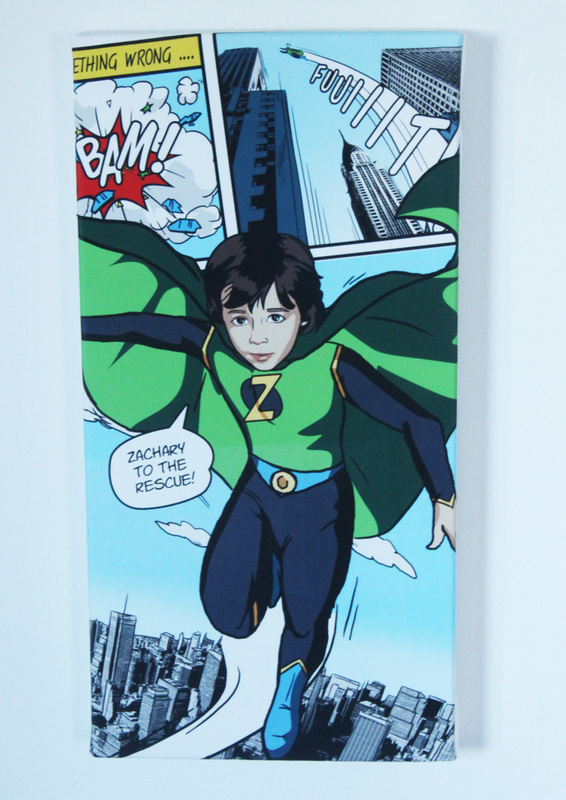 How cute is this custom made superhero portrait of Zac? It's from your-portrait.co.uk. I love it so much! Mia's shelf is much more girly and I can't wait to move her cotbed, so it's all pretty and actually goes with that side of the room. 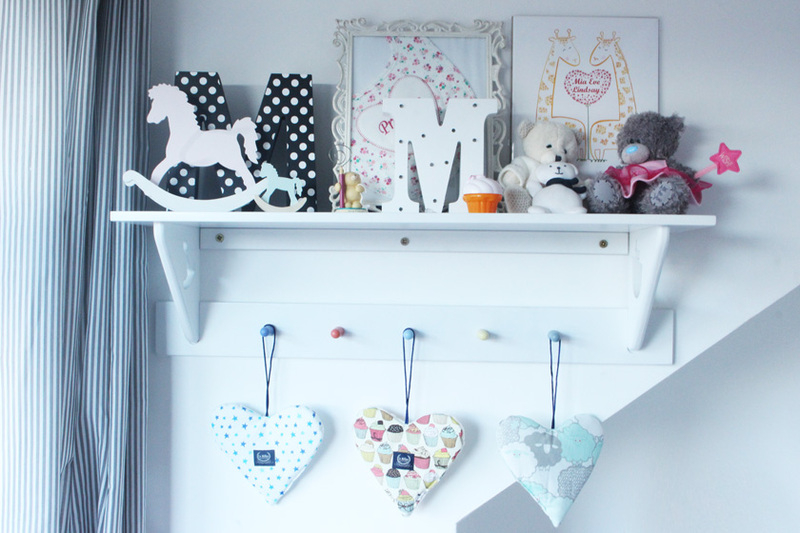 Shelf- Mothercare, Rocking Horses - Turkusowa Pracownia, Hanging hearts - La Millou, Polka Dot M - TKmaxx, White M light - Home Bargains, Personalised bib (framed) - My 1st Years. 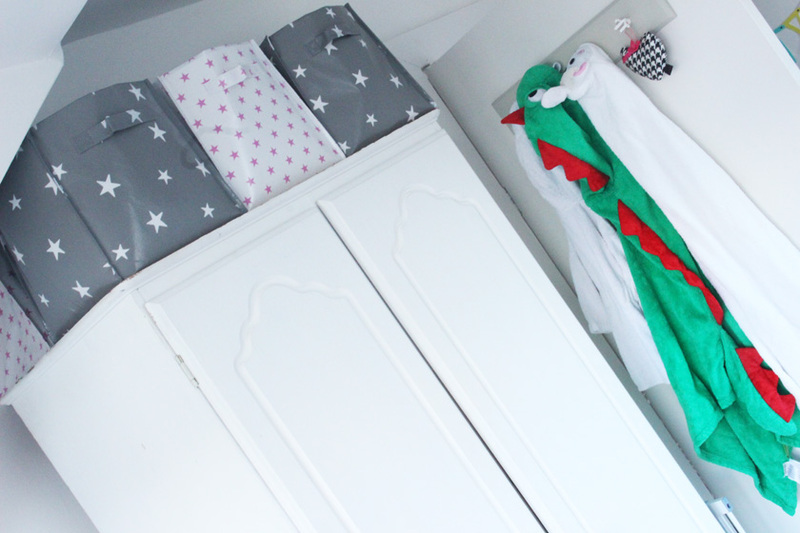 The wardrobe is an old pine one and I just painted it white. So gorgeous! 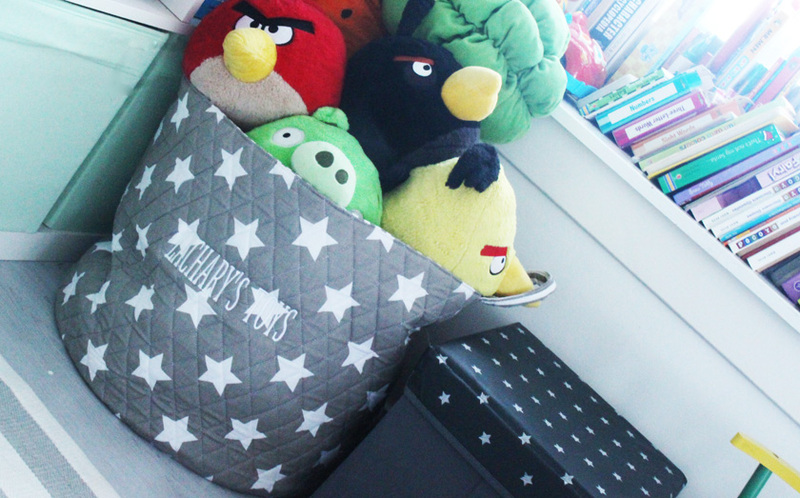 I am keeping loads of Zac's toys on the top of it, in simple H&M storage boxes. 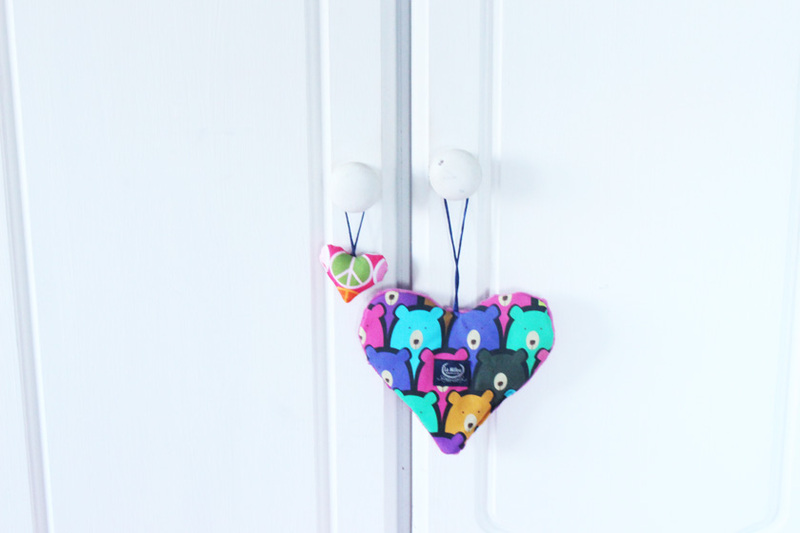 Adding a pop of colour with some La Millou hearts. 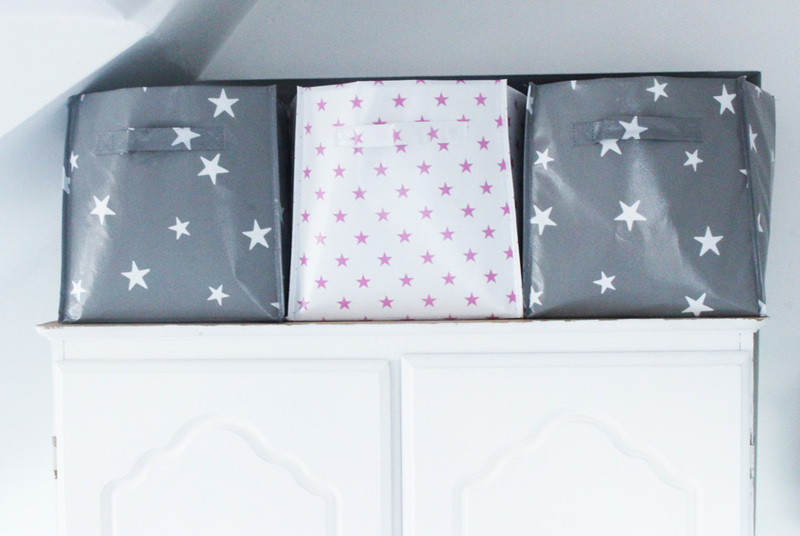 The H&M boxes are such a great storage solution! On the back of the door, I keep kids bath robes. 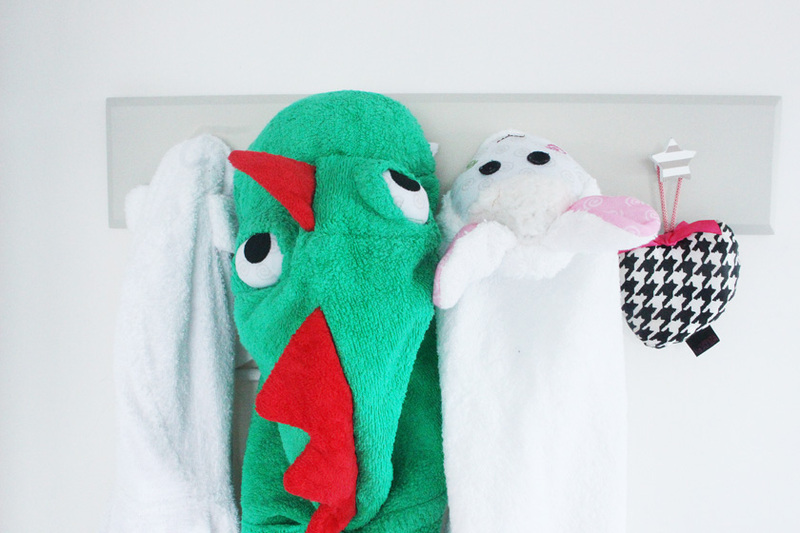 We love the Zoocchini Hooded Towels so much! Review here. On the other wall, there's just a mix of things. 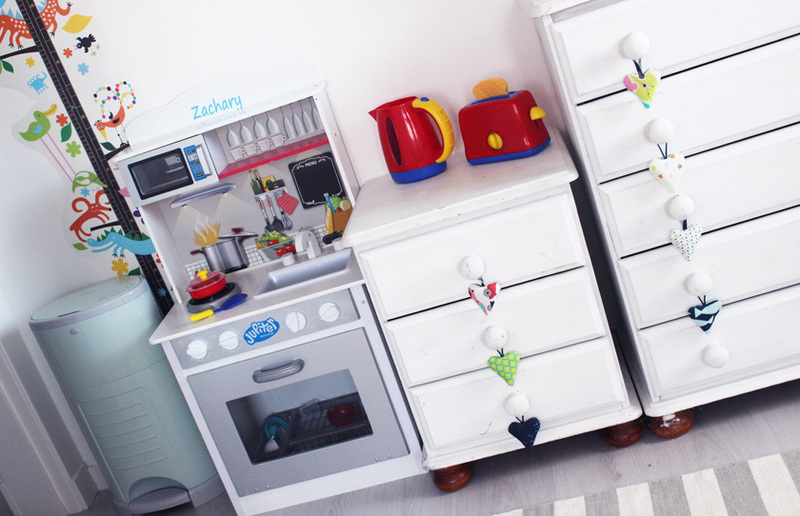 A nappy bin, Zac's toy kitchen, some drawers and an Ikea unit. Mia is obsessed with the kitchen, so I might add her name to it and they can share it. Bin - Korbell, Kitchen - The Brilliant Gift Shop. 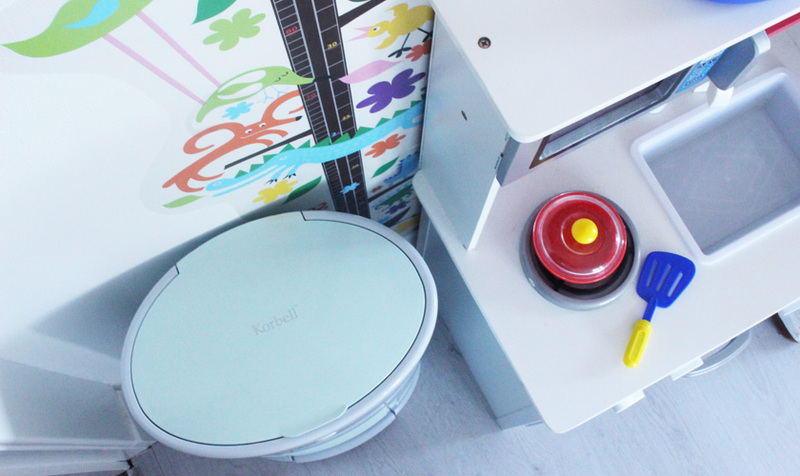 The Korbell Nappy Bin* is perfect for any rubbish and dirty nappies. Zac is absolutely fascinated with it and loves helping me use it. Mia is OBSESSED with it and keeps opening it, so it's usually turned the other way round, so she can't put her hands in it. So cheeky! 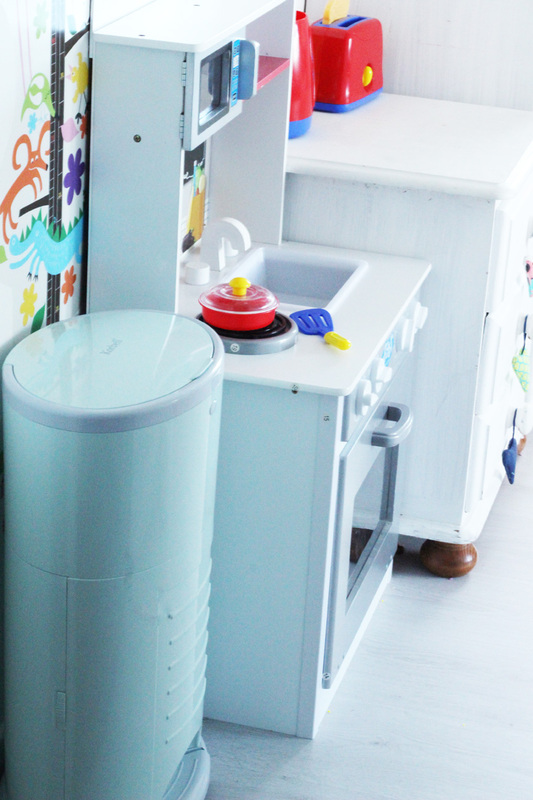 We opted for the mint green colour and I can't believe I am saying this about a bin, but... it's gorgeous :) The pedal on the bin makes it super easy to open, completely hands free and the biodegradable liners come in a roll, which goes inside, so you don't have to put a bag in every time. There is also a safety knife inside for cutting the bag off and then you just tie it and you're done. It can be used as a normal bin too of course. I love the little La Millou hearts on the knobs. 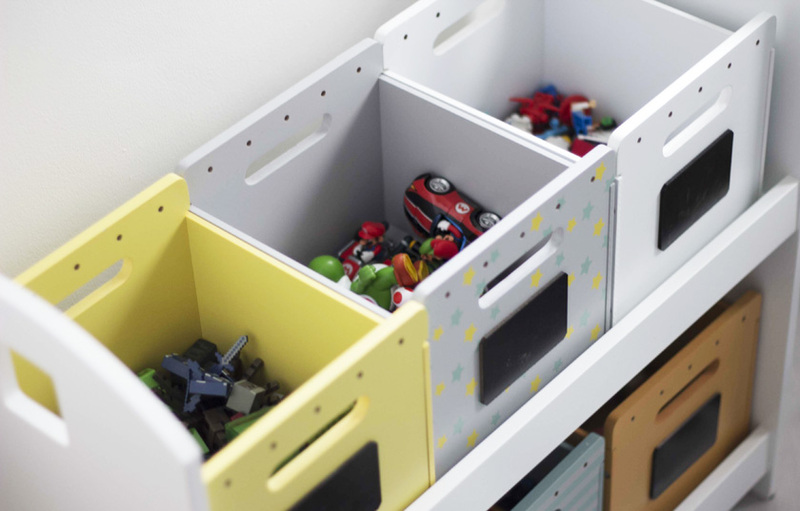 The Ikea unit is an ideal storage solution for kids toys. You can pack so much stuff in there! I removed one shelf to fit Mia's toy basket. She isn't into baby/girly toys at all, so she just plays with Zac's stuff. Superheroes, cars etc - she loves it! 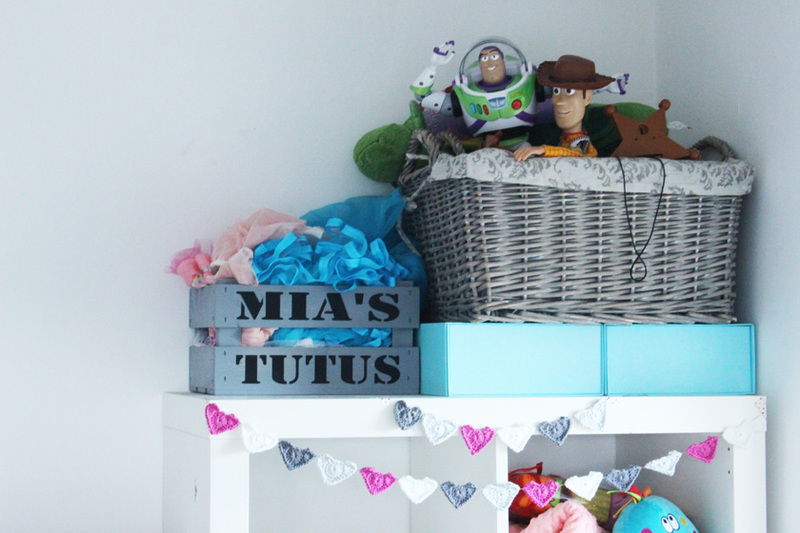 The tutu crate (from I Just Love It) is too cute as well! And Woody and Buzz are always watching... Zac started saying that they freak him out, because they keep staring at him :) hahaha! So funny! One of the compartments is used as a display for some of Zac's Lego. 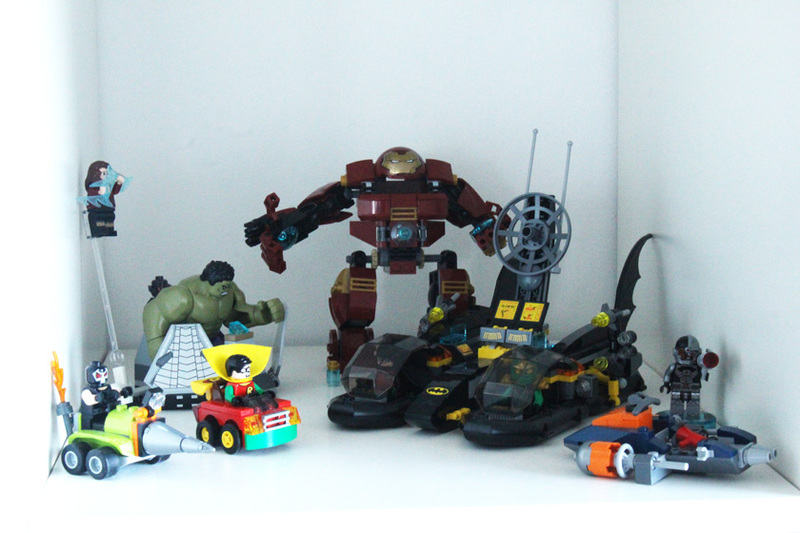 It took me so long to build the Batboat adventure set and the Hulkbuster, I would literally cry is he pulled them apart. 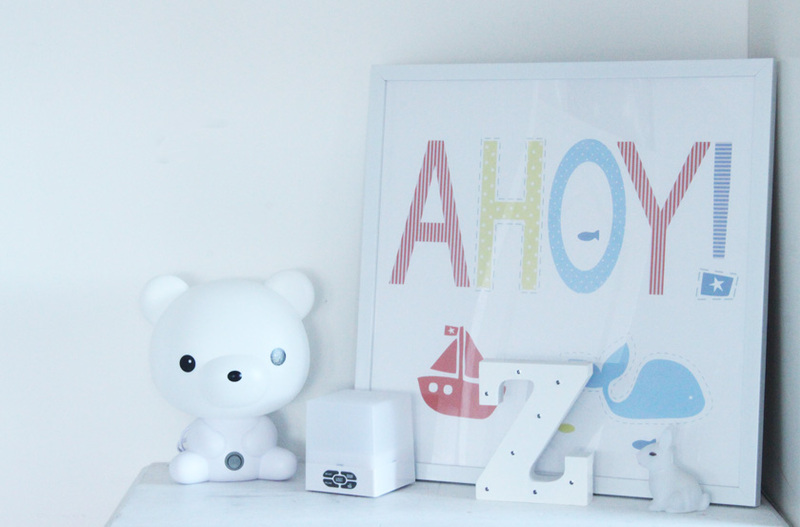 Some lights and a print from Mothercare. The bear light is an ebay bargain, the little square one displays stars and plays music (link) and the Z is from Home Bargains. 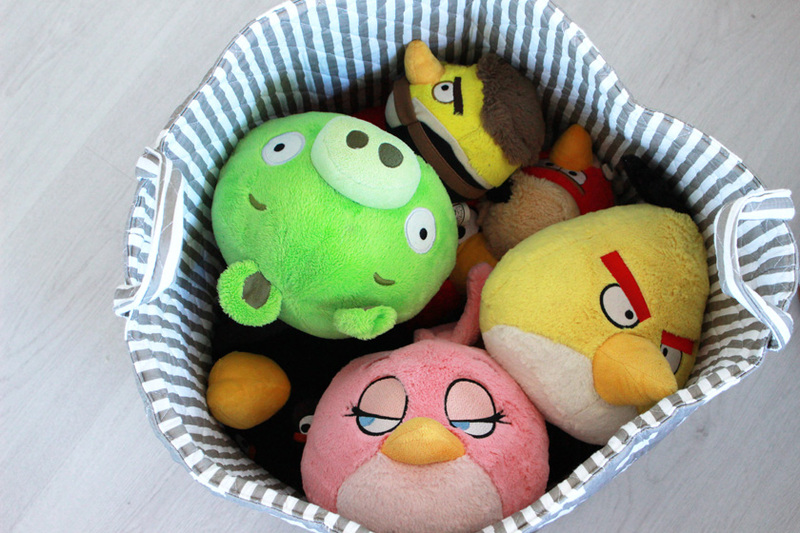 Another piece I love- the personalised toy basket from My 1st Years (link)! Soooo lovely! The box with a star lid is from BM Bargains. 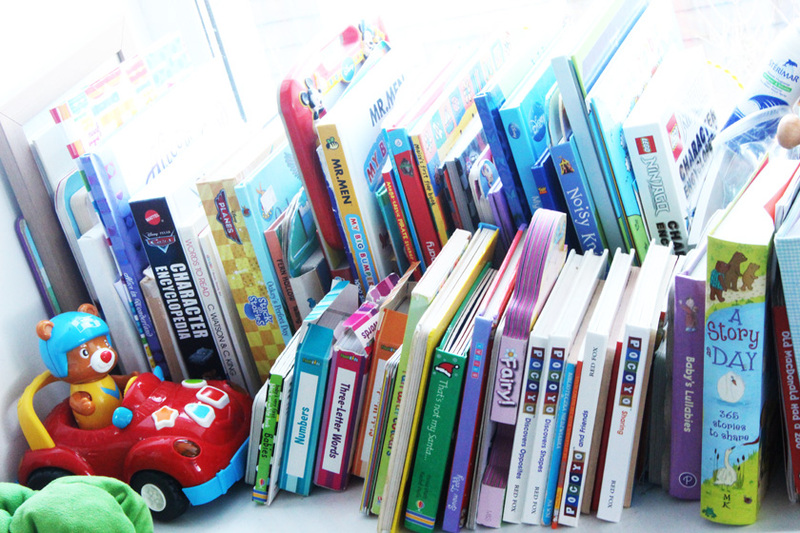 We use this windowsill as a book shelf. I love this alcove and I might make it into a sitting area. I think it would look super cosy with cushions and fairy lights. 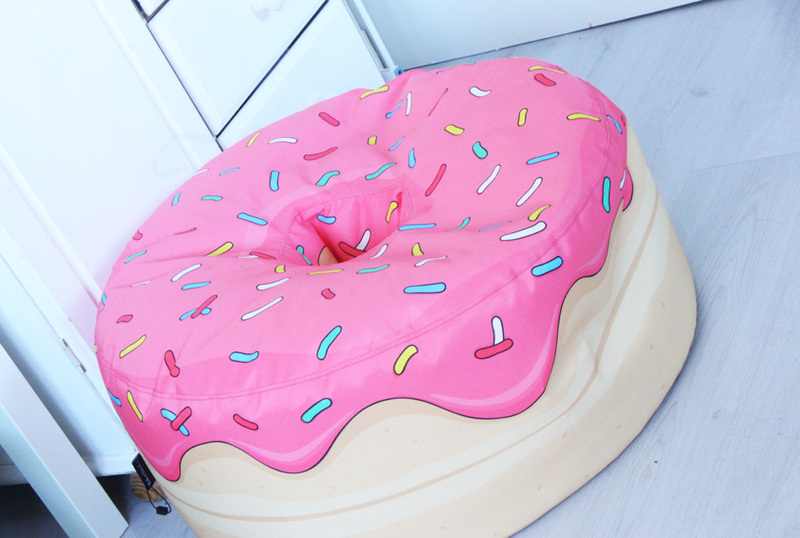 The doughnut beanbag is from Flamingo Gifts. Review here. That's it. 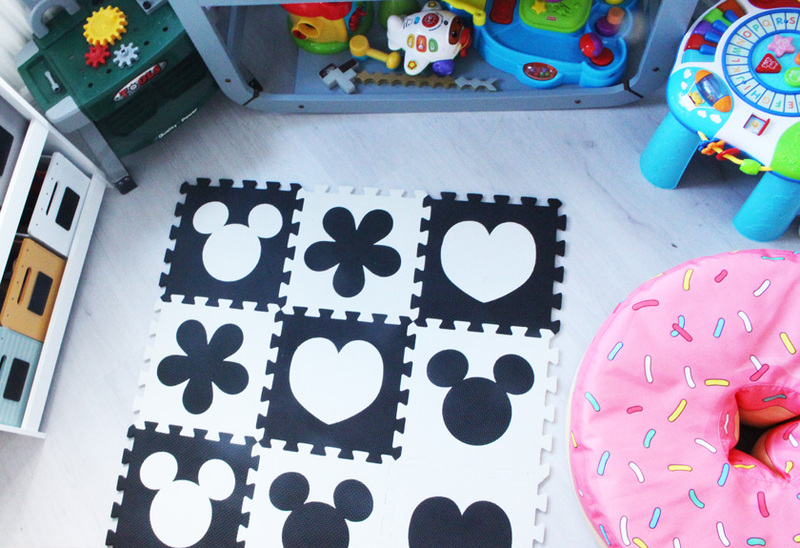 I hope you enjoyed having a little peek at the kids room. It might not be perfect and the most stylish, but I already had many pieces before we moved to this house and had to make it work. Let me know, if you have any questions.